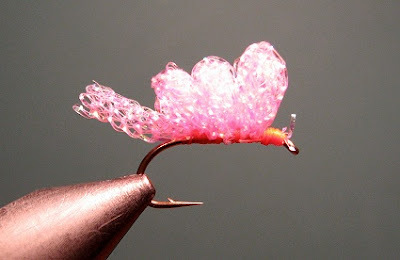 Crystal meth is another egg pattern widely used along steelhead alley. It's similiar to the sucker spawn. 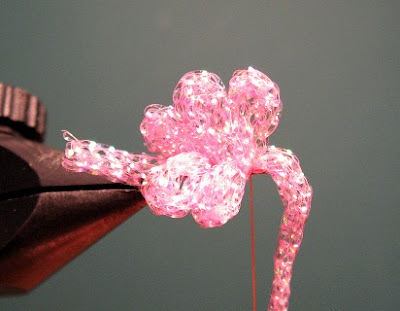 The only difference is instead of yarn, diamond braid is used. This pattern is effective in water that is murky. Like the drug, steelhead get addicted to it. 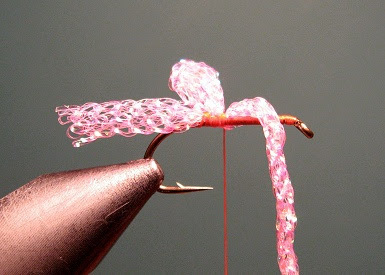 For this example, I'm using shrimp braid. Unlike sucker spawn, crystal meth is tied using single loops. 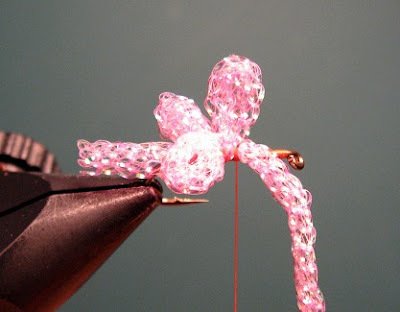 Place the braid on top of the hook and tie it in. 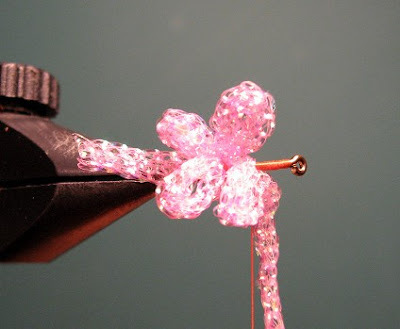 Then pull up the braid and wrap the thread several times. This will securely hold it in place. 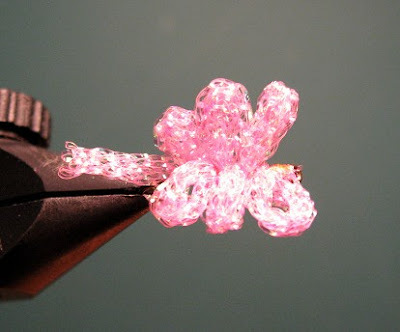 Take the braid and fold it over making a loop. 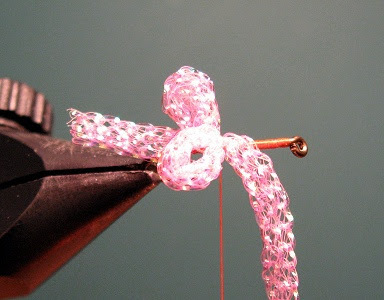 Wrap the thread several times to hold it in place. 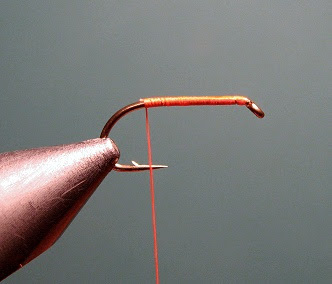 The loop should hang over the side of the hook. The next loop should be the same size. The next set of loops will be larger. Repeat the same step. As you can see the loops have a weaved appearance. The final loops should be the same size as the previous ones. Build a head and cut the excess braid. Whip finish and apply head cement. This is what the fly should look like a cluster of eggs. Glad to read article like this. Thank you for sharing your knowledge with us. Thanks!!! Been looking for this. You come highly recommended!